Runners aren’t the only ones who suffer from runner’s knee. Runner’s Knee is a general term used to describe pain around the front of the knee (patellofemoral pain). This pain can be caused by anterior knee pain syndrome, patellofemoral malalignment, and chondromalacia patella. 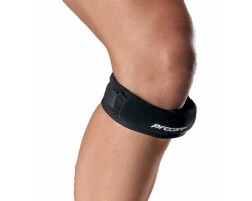 There are a variety of knee braces and bands that can help alleviate the discomfort caused by this condition. We recommend the following products for those suffering from runner’s knee.